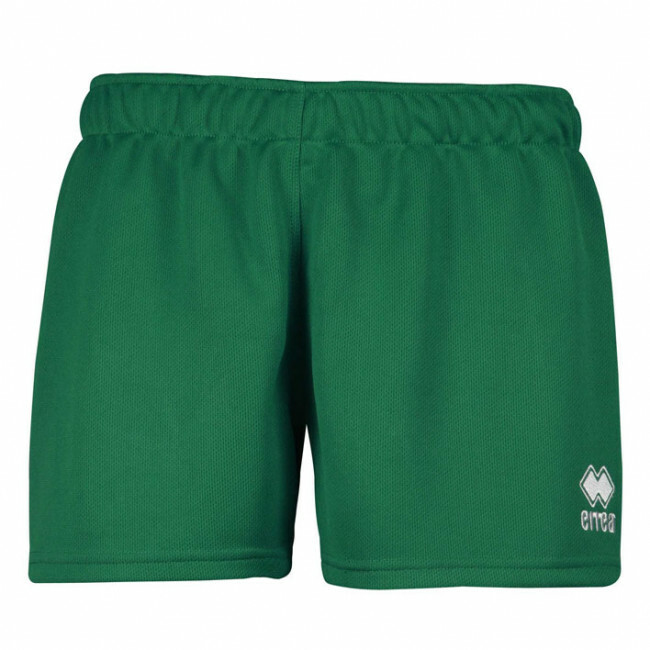 Rugby shorts for kids. Cut and sewn. Solid colour. Elasticated waistband. Normal fit. Very resistant and lightweight fabric. The Lift rugby shorts for kids by Erreà have been designed with one goal in mind: to endure the toughest fights and the hardest games. The fabric they are made of, specific for rugby, is indeed extremely rugged and durable, despite being lightweight and comfortable to wear. To improve wearability, we have added an elasticated waistband, that will allow you to adjust the shorts as desired. Composition: 100% POLYESTER.